Amazon is no doubt the best online shop all around the world. It allows a person to sell their own item there. Most of the people welcome this opportunity and place their product for sale here. Now those people who own a blog can simply do a clever use of plug-ins given here below and advertise their product on their blogs itself. The plug-in does one simple job, that is show Amazon products relevant to your blog and website content. This one would be great for monetizing purposes because of the affiliate linking. However you can also advertise your product here. Other than this all other features are same as that of the other plug-ins. This plug-in allows you to add the Amazon product of any product you want. You can easily advertise your product like this on your blog post or a standalone page. Moreover the plug-in offers you the chance to monetize by displaying random products on Amazon. Other than this the plug-in looks very attractive and systematic. It displays the product in a nice way making it easy for audience to read. Check Plugin page. 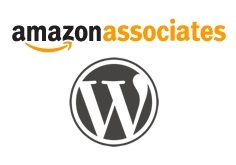 This plug-in is pretty much like Amazon Press. Both of the plug-ins look similar when in action. However this one does not show Amazon products relevant to your content. It asks you for a category and shows products under that category. Also gives the option for adding your associate ID and monetizing from it. WordPress Admaster is a premium plug-in. However it is worth the money. It is coded in a way in which the readers as well the blogger can be at profit. It recognizes the country the reader is from and then selects the best deal for that very region. The Plug-in cane be said to have been developed keeping the reader’s as well as the website / blog owner’s point of view. This plug-in can be of great use if you want to advertise your product. Moreover if you add your own associate ID here, then you can get the affiliate’s commission. The plug-in’s interface is simple and easy to use with. You are asked for a query which is searched along the Amazon products and then you are presented with a list from which you can select the product you want. Check Plugin page. 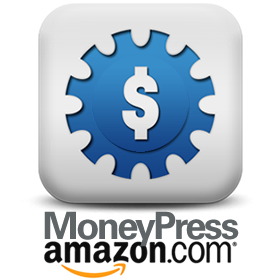 MoneyPress plug-in is from a developer who has made plug-ins for many other major e-commerce sites. MoneyPress: eBay is also the best plug-ins for having eBay products listed on your blogs or websites. Here the functioning is same as other plug-ins. The products displayed can be on standalone pages as well as posts. Amazon product widget can be used to show any Amazon product, however it gives us the option of showing a selected number of Products by just entering their ASIN (Amazon Standard Identification Number). Along with this, it has the Associate ID option to monetize as you blog. My personal opinion would be using this to advertise selected products having mouth – watering deals. This would be a wonderful way to monetize. WP is pretty much like the other Amazon widgets, however it has its own uniqueness. In this plug-in you are given the option of having a multi-author revenue sharing system. This way the plug-in allows multiple Amazon associate IDs. The plug-in also promises to use effective search parameters.